From pre conception to post birth care, our mother/baby program will provide you with the best possible care as you plan your pregnancy, during your pregnancy and afterwards. Three practitioners are involved in this program, however you can choose which elements of the program you wish to utilise, and there are no up- front payments. We have Hicaps for immediate refunds. Lisa Christie-Taylor is our Homeopath who specialises in caring for women at all stages of pregnancy. 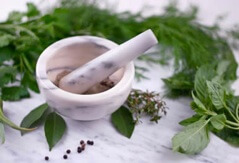 If required, she will prescribe gentle homeopathic remedies to help with any health issues arising from the pregnancy. She has worked on 3 continents caring for the needs of pregnant women and their unborn babies. Instead of coming in for your “routine check-up”, you will be listened to and cared about. You are not routine to us! Lisa Christie-Taylor uses homeopathic remedies to greatly increase your chances of delivering on time – for this to be successful, you must commence using the remedies 8 weeks before your due date. It also promotes a routine and gentle delivery of your baby because it prepares your body for the birth. 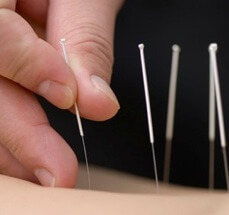 Natural fertility expert Margi MacDonald works with Lisa Christie-Taylor using her acupuncture skills to further ensure that you have a comfortable and healthy pregnancy. Labour preparation is a specialty area. 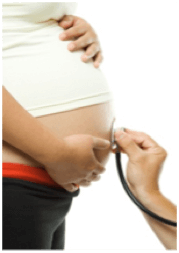 Margi is as an expert acupuncturist and particularly enjoys working with pregnant women. She is also our natural fertility practitioner for those who are having trouble conceiving, or who require IVF support. For a luxurious touch, our massage therapist Erica Borel gives the most wonderful and relaxing pregnancy massages. Massage during pregnancy is extremely useful in reducing water retention, enhancing blood flow and for relieving leg and back pain. If you are carrying a breach baby, we have great success in turning the baby using moxa therapy. If you believe you are special and that your baby deserves the best, then look no further. Enjoy the quiet ambience of Brisbane Livewell Clinic . You won’t just be” a name” here.